I'll be honest: I meant to publish this list a month or two ago. Oh well. Thes eare still a list of toys I loved in 2013. I already did a list of my top 10 toylines of 2013, but not every toy I loved was from a larger line where I loved or collected nearly every release. I've already covered my Top 10 Toy lines of 2013, so now it's time to cover individual figures that didn't fit in that category. These are individual figures, statues, and mini-figures that stood out on their own merits and kept my attention even without a full, robust line or other figures that I was interested in. Here are my favorites for 2013, in no particuar order! 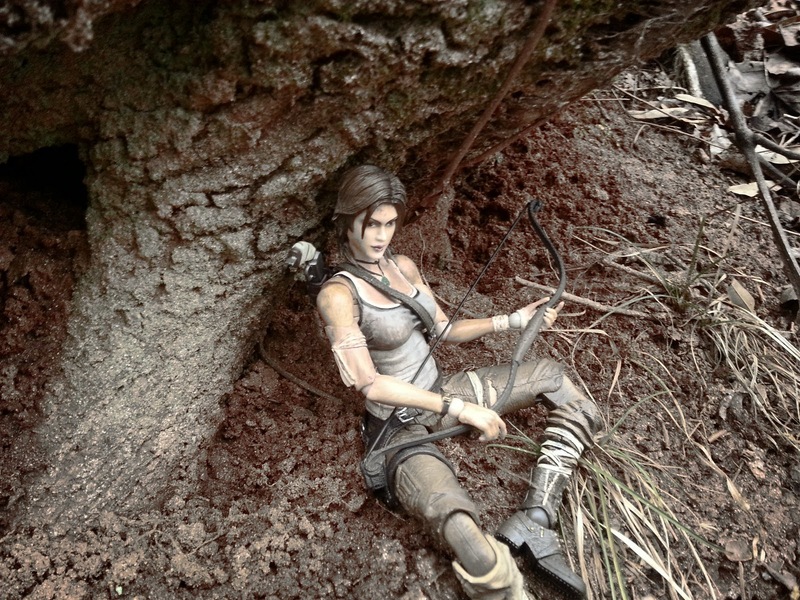 Lara Croft was one of the first action figures I reviewed here on ThEpic Review. While she was released by herself during the summer, Lara first showed up in early 2013 as a pack in with the Tomb Raider: Survival Edition video game. Incredibly well articulated, armed to the teeth, and lots of fun to pose, Lara was an early favorite in the year that managed to hang around for the long haul. Check out the review here! Perhaps it was Elizabeth's beauty, the strength of her character, or her incredibly unique appearance and gorgeous outfit, but I absolutely adored this figure. 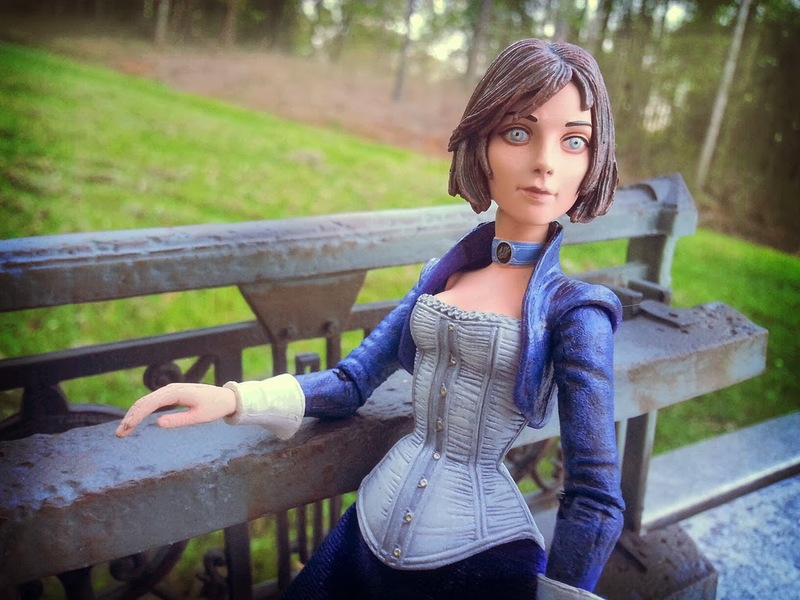 While NECA looks to be releasing more great Bioshock: Infinite figures this year, Elizabeth was the only 2013 offering that appealed to me. She certainly made an impression, however; I think she was easily the most photogenic figure from last year! I don't have any memories of the 80's toyline Rocks & Bugs & Things, but that didn't stop me absolutely loving these crazy little guys from ToyFinity. Truly a labor of love, these little guys were lovingly recreated from the vintage toyline in a variety of colors and flavors. I have my group chilling out around my MOTUC Shokoti as her little minions. Too much fun! Yeah, this is just a little beet with a nasty face and plastic the color of an old M.U.S.C.L.E. figure. You know what, though? I love him. 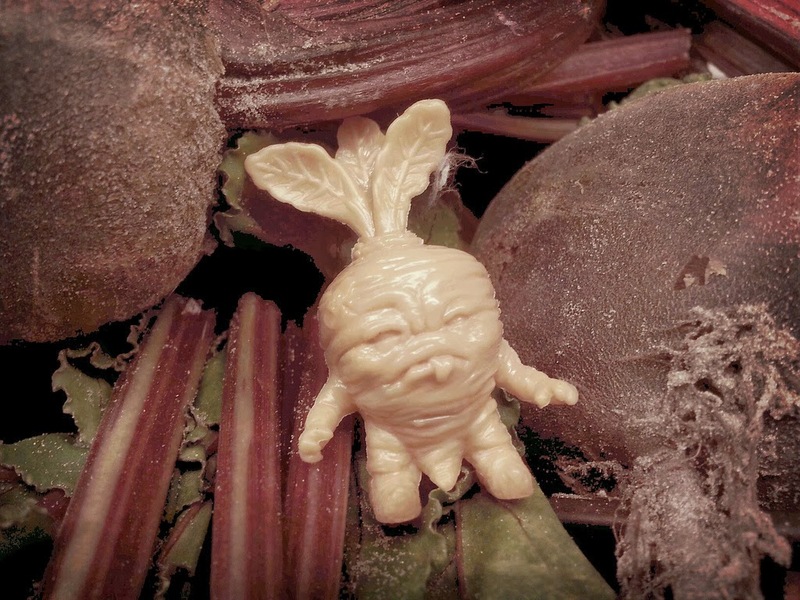 I love Baby Deadbeet. For a few weeks after I got him I carried him in my pocket every time my wife and I went to the grocery store so that I could take pictures of him. He's been released in a few different colors since then, but I still like my little pink baby deadbeet. This is more of a statue than an action figure, but she is made of PVC and is lots of fun. Batgirl looks amazing in this steampunk inspired outfit. Not every superhero could pull off purple goggles and a bat themed corset, but Babs here does it well and makes it look easy. She also came with a very cool batarang. This was easily one of my favorite Batgirl collectibles from 2013! Prometheus is a wildly divisive movie, but even those who outright hated it usually admit that Michael Fassbender's performance as the android David was fantastic. 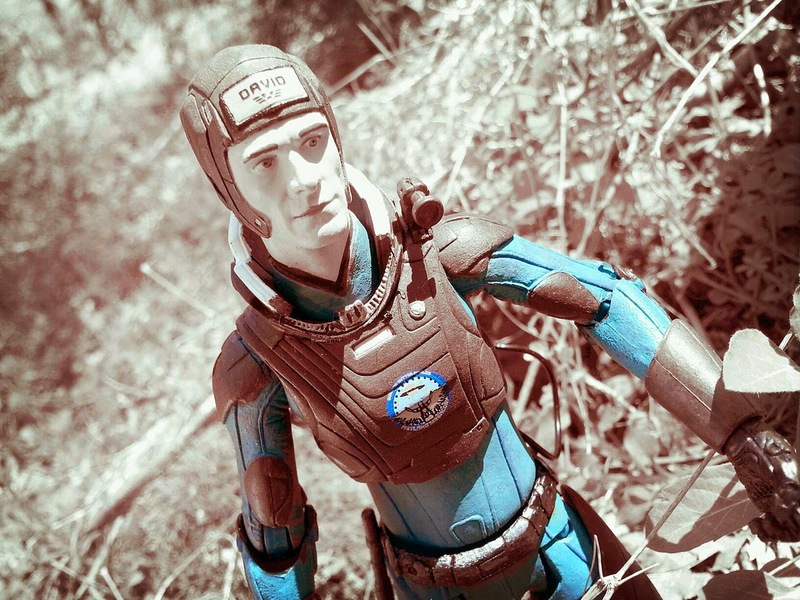 I liked a few of the figures from NECA's Prometheus line but David stood out head and shoulders above the rest. He's really the only "human" character we got from the line, which is a real shame. I really wanted a Dr. Elizabeth Shaw! Still, David is a great addition to an Alien/ Predator/ Prometheus shelf. The Hobbit films haven't been perfect, but they've been quite fun. Ever since Toy Biz's excellent Lord of the Rings line back in the early 2000's I've always wanted an action figure of Radagast the Brown. The Bridge Direct really delivered with this figure that is just excellent. It's almost eerily realistic and presents a wonderful version of the Istarii foryour shelf, whether you liked his movie portrayal or not. 2013 was a rough year for G.I. Joe. It should have been a pretty good year. It was the year prior to the 50th anniversary of the brand, so fans hoped that Hasbro would start ramping up the cool product in anticipation of 2014's 50th anniversary. 2013 also saw the release of G.I. Joe Retaliation early in the year. While many people inexplicably call the film a bomb, it actually almost tripled it's budget and ended up being the 10th biggest blockbuster of 2013. Not bad for a non-summer release. Still, Hasbro delaying the movie by a year really hurt retail support and the toy market. While the first series figures kept the pegs nice and toasty for months, the later waves hardly got any retail support at all. Kwinn in this outfit has been one of the most wanted G.I. Joe figures since 1982 or 1983 when he first appeared in the comics in this outfit and fortunately, Hasbro knocked this guy out of the park. He was a bright spot in what ended up being a dark year for G.I. Joe. This was not just a very well sculpted and painted figure from NECA, but also a figure I've wanted for years and years. I've always wanted figures based off of the works of Stephen King ever since I started reading his books in middle school. Finally, 16 years later, I was able to cross one figure off of my wishlist. I didn't pick this guy up until very late 2013, but he certainly impressed me. I was hesitant to order him after having a Killer Croc from Arkham Asylum break on me and hearing similar stories about Titan Joker, but after finally hearing nothing but good things about him I bit, and I'm glad I did. While he's not your traditional Solomon Grundy, he definitely is a fantastic representation of the Arkham City appearance of Grundy. Excellent sculpting and paintwork captures every grisly little detail on this guy. I love him! Let's do some statistics based off of the ones I did in my Top 10 list! # of toylines that are newer versions of toys I played with as a kid: 3 (Solomon Grundy- Batman Toys, Kwinn- G.I. Joe: A Real American Hero, and Baby Deadbeet- M.U.S.C.L.E. # of toys that I never saw hide nor hair of at Wal-Mart: 10- None of these figures were available at mainstream retail. Maybe Kwinn might have been for some, but I never saw him!